Setting the scene. Mark is getting married to Jo, that means a wedding. Woohoo! But this isn’t going to be the sort of wedding that we’re used to, oh no. 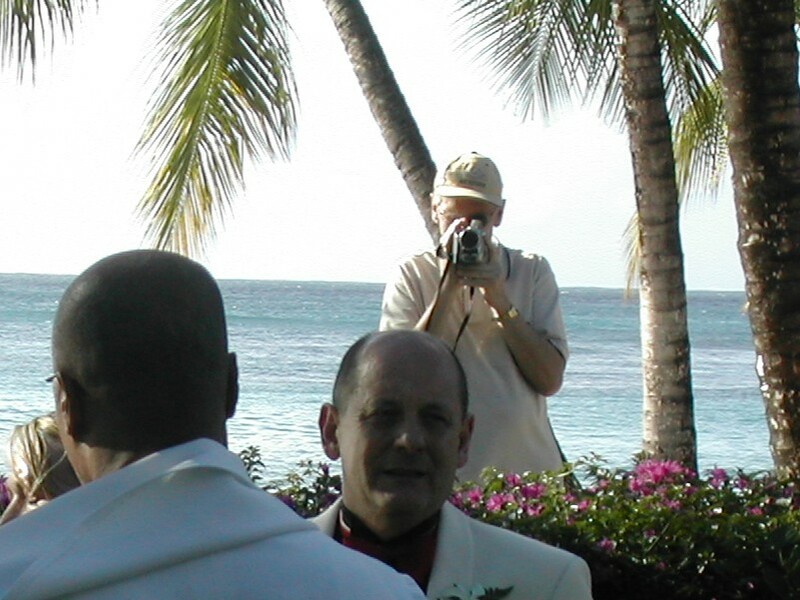 In case you hadn’t already figured it out, this wedding will take place in Barbados and it would just be rude not to turn up! Congratulations to Mark and Jo. 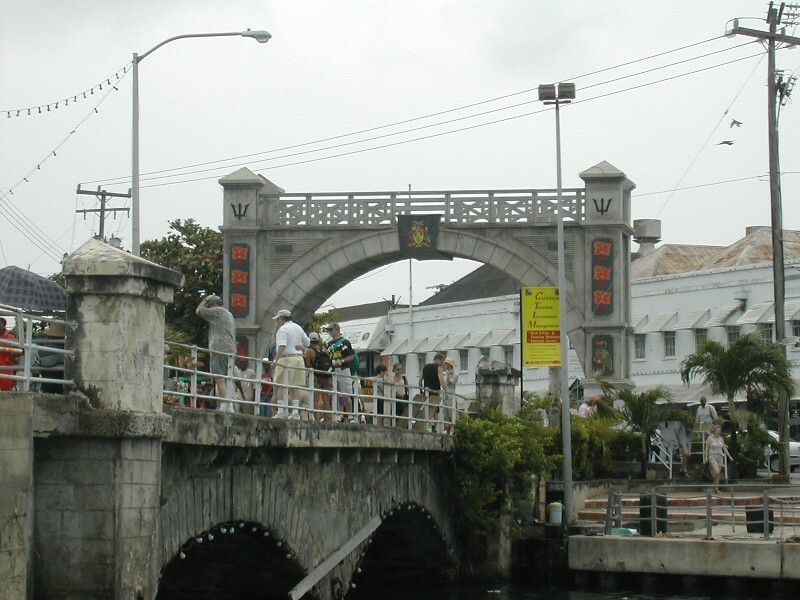 The Independence Arch, on the south side of the Chamberlain Bridge, was erected in 1987 to celebrate 21 years of Barbadian independence. It carries the national flag (a black trident), motto, pledge of allegiance and…hey, wait a minute, isn’t the guy with a green bag and black t-shirt wearing socks and sandals? I was born and brought up in the seaside town of Worthing in West Sussex, not the most exciting place to grow up, but I still refer to it as ‘home’ nevertheless. So, how could I possibly not visit my home town’s namesake in Barbados. Actually, it became an obsession of sorts. 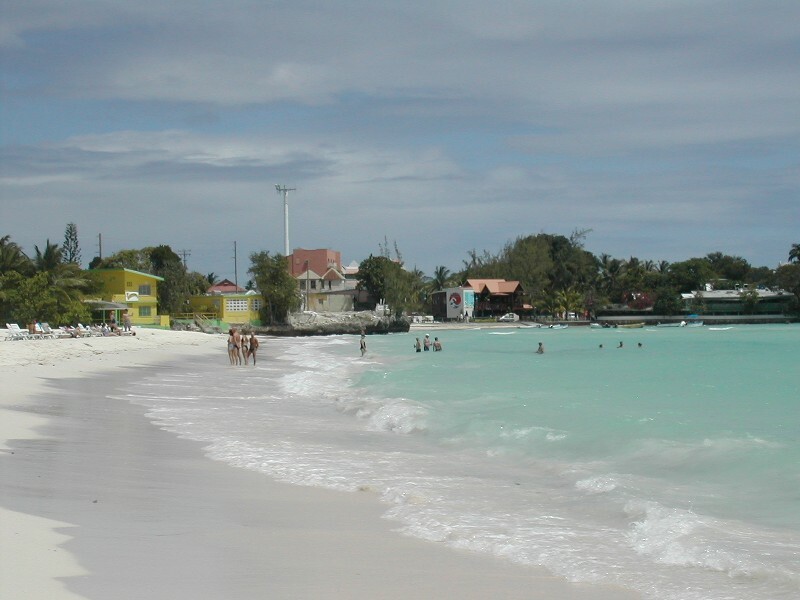 Once there, I could soon see that it too was not the most exciting town, in fact, the only real bonus that Worthing, Barbados has is its beach. Look, no shingle. Comically, I later took a photo of Worthing Post Office, but had to wait for an elderly man to finish faffing about with his car and get out of the way. Just like home. 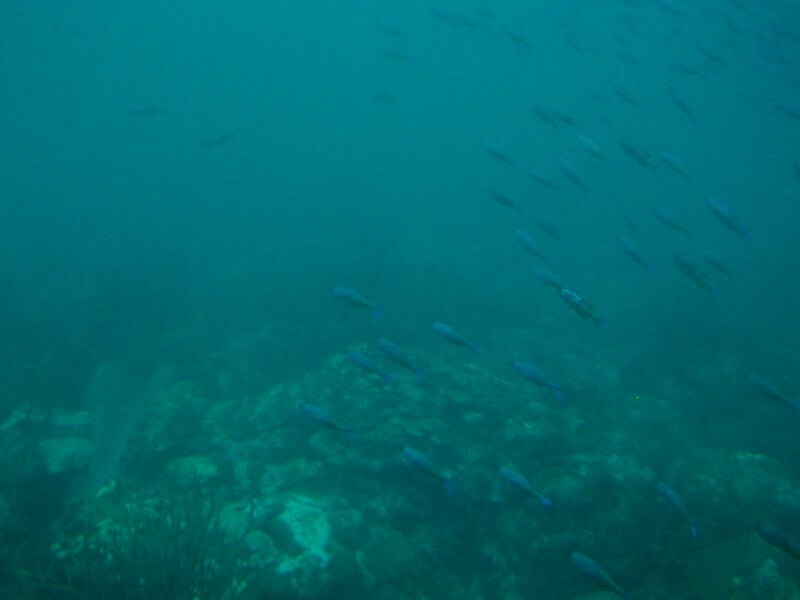 Being unable to scuba dive, Julia and I were pleased to discover the submarine excursion that ran from Bridgetown harbour. It wasn’t cheap, but it was the first opportunity that we’d had to see coral reefs and ship wrecks. We were quite surprised that even 150ft under the surface we were still bathed in sunlight. No artificial lights were used at all, which gave everything a blue tinge. Sadly, this wasn’t the best environment for photography, but a worthwhile experience all the same. We stayed in the all-inclusive Kings Beach Hotel in St Peter. Just north of the hotel is Speightstown (previously Little Bristol due to the trading that took place with the port of Bristol, England), now a shadow of it’s former self, but worth a look around as it is mostly unspoilt by tourist tat. I personally recommend purchasing a bottle of Banks Beer and soaking up the chilled out ambience of the Fisherman’s Pub, but bear in mind that on Saturday afternoons there is a more upbeat vibe with a live DJ pumping out Ragga. 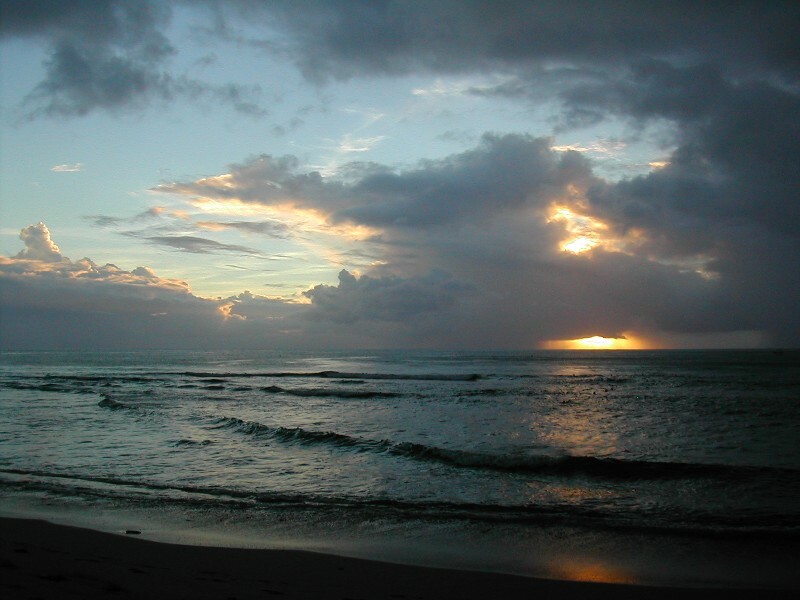 During our time in Barbados we did not see one clear sunset. However, I felt that the clouds made the sunsets more interesting. Through my drunken merriment I noticed the wedding band were all wearing Snoop Doggy Dogg shirts. What next? 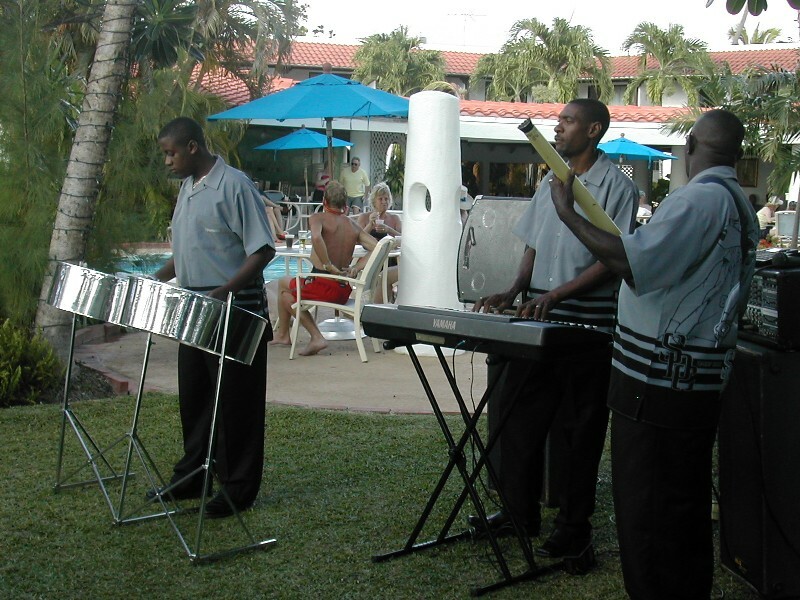 Gangsta Steel Bands? They were very good, I’m just not sure that Snoop would approve! And here’s the happy couple. 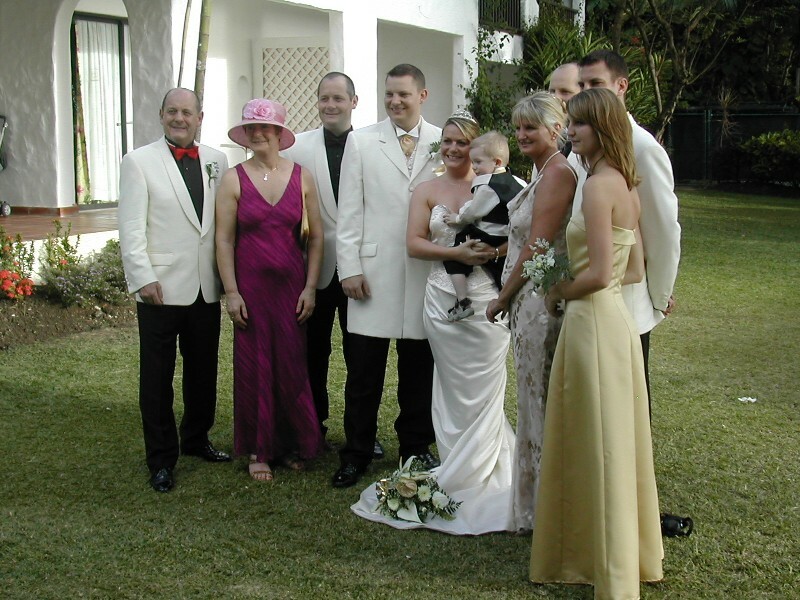 Despite some initial concerns about reports of building improvement taking place at the hotel it had all been completed by the time that Mark and Jo arrived. Everything fell beautifully into place on the day – even the weather. We had a lovely day and wish Mark and Jo all the best for the future. Here’s to ‘the Big Bamboo’! Just after sunset (just off shot to the left) the colour spreads across the horizon. Aah, the yellow fun buses. 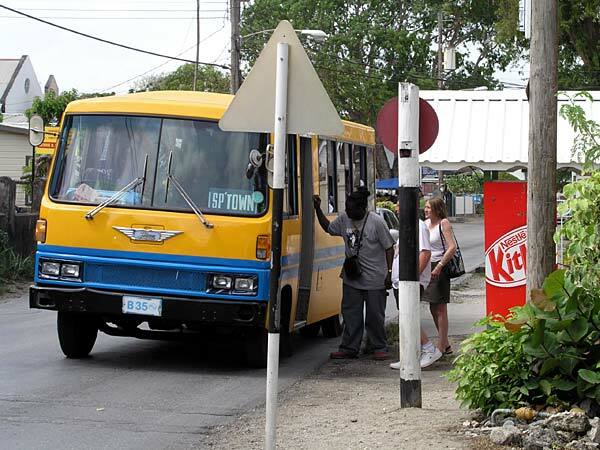 These are privately owned buses that run into and out of Bridgetown to various other locations around the island. If you’re lucky, you’ll catch one with front and rear spoilers, racing stickers down the side generally depicting racing cars or flames or both and pumping out ragga. Beenie Man has never sounded so good!